One of the best weeks in San Antonio FC history has been capped on Tuesday as Cesar Elizondo was named the USL player of the week for his performances against Seattle and Portland. Elizondo scored twice and provided an assist in a strong week on the road, not just for himself but for the league leaders. The forward was vital in both matches, especially impressive after playing just 25 minutes in the match against Seattle. Against Seattle Sounders Elizondo put in a vital performance in just 25 minutes, but in Portland he played the full 90 scoring two goals and providing an assist. He provided the assist for Billy Forbes’ first goal before doubling the lead, Elizondo finally wrapped up the scoring in stoppage time making it 4-0 for San Antonio FC. Unsurprisingly Billy Forbes was also in the team of the week as he was named a starter in the team as a midfielder, his fourth time in the team this year. Equal at the top of the USL golden boot race forbes scored two goals during the week, bringing his tally to six and managed his third assist of the season, second most in the league. Devin Vega made it three players on the team of the week for San Antonio FC as his two impressive cameos were rewarded. Vega is no doubt having the best week of his life as he scored his first professional goal and now team of the week honors. 2016 was a phenomenally big and busy year for soccer in San Antonio with lots of news and a brand new team. Ultimately San Antonio FC fell just short of the playoffs but created plenty of highlights along the way, and those are recognized in the 2016 San Antonio soccer awards. Okay, so we’re cheating here a little bit, in 2015 this was perhaps the closest fought award, and in 2016 it proved even harder. So yes, this isn’t an individual story, but no individual story could be pinpointed that was as big as this one. San Antonio FC’s existence fundamentally altered the soccer scene in San Antonio and their rollercoaster ride of a season kept everyone excited until the bitter end in Edinburg. There was certainly plenty of contenders for this award, but in the end Swope Park Rangers’ incredible run to the United Soccer League (USL) championship game pushed them over the edge. They entertained when they played at Toyota Field, and they had a phenomenal season. Rio Grande Toros FC could also have been mentioned here but their playoff collapse hurt them. FC Dallas also get an honorable mention here but as they did not play in San Antonio they are not included in consideration. Castillo had a strong season, although that is not why he is the winner of this award, although his on-field performances were certainly a factor. Castillo’s signing by San Antonio FC as one of the first players announced was a phenomenally astute move from the club. It created a subtle link between the old club and brought some skeptical fans on board. There is more to signing a player than just what they can do on field, there are also commercial concerns to consider and in Castillo San Antonio FC was able to hit both on and off field concerns in a player. The first time a varsity team is being recognized by the San Antonio soccer awards, the Rattlers had another strong season, earning 10 places on the All-District Teams. Coach Gilbert Villarreal also earned Coach of the Year honors as he lead the Rattlers to the regional final, losing only on a goal with just three minutes to play. It was an agonizing end to the season for Trinity’s women, falling in the national quarter finals on their own pitch, to the eventual champions. That said, the Tigers had a phenomenal season, that quarter-final loss the only loss of the season as they continued to excel, building a strong program that looks set to contend for a national title again next year. Yet again the best match of the year occurred in April, this time it was a club match as San Antonio FC played their first ever home league match. The atmosphere was electric, despite San Antonio FC conceding just two minutes in. The crowd of 8,466 set a Toyota Field Record, with San Antonio FC coming from behind in a 1-1 draw. In 20 years there will be 18,466 people claiming they were there, keep your ticket stub! Needing a win to keep their playoff hopes alive, Tayou scored one of his most crucial goals against Tulsa. Sure they left him wide open for the finish, but his acrobatic finish was out of the blue, with San Antonio fans not used to seeing him score goals like that. Castillo’s free-kick against LA Galaxy II was a very close second, but bicycles have a strong record in this category, and being in general play helped Tayou claim the win. This is no doubt the lowest of Holt’s many accolades from a very successful career as a soccer administrator but it’s one that he deserves for all he has done for soccer in San Antonio this year. Holt comes in as a phenomenal administrator who has greatly improved the back office of pro soccer in San Antonio, following from the disaster that was Howard Cornfield, creating a successful on and off field product that can no doubt stand the test of time. In a year with two coaches new to San Antonio this was a difficult decision but in the end Harrison just edged out Darren Powell for the award. Harrison led Trinity, in his first season back at his alma mater, to an almost perfect season, losing just once, the national quarter-finals. While it was a bitter end to the season, Harrison has proven his credentials, deserving to be at a strong school like Trinity, and he seems on track to fill the big shoes of former coach Lance Key. Trinity had a number of strong candidates for this award but in the end Wyke’s consistency pushed him over the edge. Wyke was strong at the back for the season, but was also able to push forward, providing a number of goals and assists. Wyke was named a first-team All-American at the end of the season, and as just a sophomore has a strong shot at backing up for this award. Another tough award in 2016, with a number of players making strong arguments for winning this award. In the end McCarthy just edged it as his strong defensive performances were vital for San Antonio FC keeping them alive. What clinched it was how much the defense struggled without him there and his leadership. McCarthy has re-signed for 2017 and San Antonio FC will be hoping he can remain fit for the season. Two FC Dallas players have been named in the 2016 Major League Soccer (MLS) Best XI which was released by MLS on Monday afternoon. Matt Hedges and Mauro Diaz were the two players named to the squad with Hedges marking his second straight time in the squad, the second Dallas player to do so. Matt Hedges was named in the MLS Best XI defense, consisting of the three best defensive players in the league, all three in the Western Conference. Hedges is joined by Colorado’s Axel Sjoberg and LA Galaxy’s Jelle Van Damme. Hedges is named to the squad in no shock having also been awarded the 2016 MLS Defender of the Year award. He was a vital rock in the defense of the team which won their first ever Supporters Shield and won the US Open Cup. Under Hedges guidance the FC Dallas back line kept teams out on their way to the Supporters Shield and their second straight 60-plus point season. Hedges played over 2000 minutes again, a big part of the reason FC Dallas has managed to be so strong defensively. Hedges celebrated his award by signing a new contract through to 2020 on Tuesday afternoon. Diaz is surrounded by three other creative players in the MLS Best XI midfield, a diverse collection of MLS stars. Giovani dos Santos of LA Galaxy, Sacha Kljestan of New York Red Bulls and Ignacio Piatti of Motreal Impact join Diaz in the midfield four. It was another strong season from Diaz as he was able to come third in the league assists charts with 13, a crucial part in the Dallas trophy winning side. Diaz was strong throughout the season, controlling things for FC Dallas. Diaz’s 16 assists was his career best, the second straight season that Diaz managed to hit a career best for assists in a row. Diaz is one of only five players in the league to have managed double-digit assists for the past two years. Trinity has had five of their players named to All-American squads announced on Thursday, two men and one woman were named first team all-Americans while two men were on the second team. 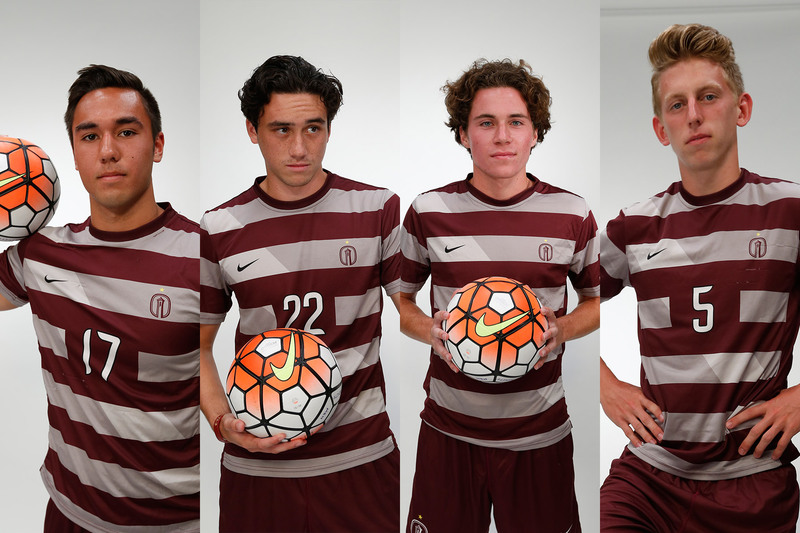 Laurence Wyke and Austin Michaelis (both sophomores) were named to the first team along with Yasmeen Farra on the women’s side while defending all-American Christian Sakshaug (sophomore) and Kellen Reid (junior) were named second team All-Americans. Wyke had a strong season at both ends of the field, being a strong member of the Tigers defense through the season. At the other end of the field Wyke scored seven goals and provided two assists through the season and earned Conference Defensive Player of the Year honors. Michaelis was a vital member of Trinity’s attacking play, often providing the ball before he would be credited with an assist. Michaelis also led the team with 11 goals, and provided nine assists for Trinity earning Conferense Offensive Player of the Year. Trinity’s other first team All-American is Yasmeen Farra the senior midfielder capping her final season with the honor. Farra scored 14 goals, leading the team and both programs, while also managing seven assists. Winning the All-American award comes as her second honor of the season after winning the Conference Offensive Player of the Year. Shakshuag improved on his 2015 All-American third-team honor as a freshman moving up to the 2016 second team. Shakshaug led the Tigers with 11 assists and scored two goals for the season continuing his impressive early collegiate career performances. Reid was a vital captain in the middle of the Trinity defense, often getting his work done in a way that doesn’t get noticed. But the voters noticed and named him to the second team after a notable five assists. 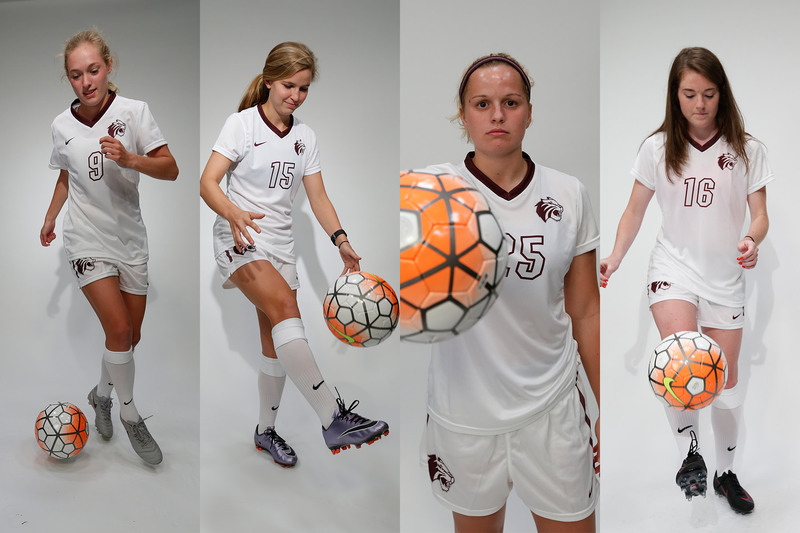 Four Trinity women’s players have been named in the National Soccer Coaches Association of America (NSCAA) All-West Region team, announced on Tuesday. Yasmeen Farra, Julia Kelly and Julia Camp were all named in the first team while Colleen Markey was named to the second team. Farra was the golden boot for Trinity in her senior season as she scored 14 goals through the season, half of them classified as game winners. On top of that she had seven assists and earned Conferense Offensive Player of the Season honors. Camp was closely behind Farra, scoring 12 goals but had more assists, with eight in another strong season. Camp had a strong season and will return for Trinity next season for her senior season looking to continue winning accolades. Kelly wrapped up the Tigers who were named in the all-region first team after scoring eight goals and providing three assists. One of those goals opened the season and was the goal of the season for Trinity while she also contributed to a strong Trinity defense, as a holding midfielder, the Tigers only allowed eight goals all season. For Markey, she has received second team all-region honors for the second season in a row after a strong season on the wing for the Tigers. Markey managed seven goals and seven assists in her junior season building to hopefully push in to the first team in her senior season. While Trinity’s season ended in disappointment in the NCAA Quarter-Finals that was an improvement on a second round exit in 2015. 2017 will be head coach Dylan Harrison’s second season and with more of his recruits the side will be able to kick on again and remain in contention for a national championship next year. As the conference tournament season has arrived in college soccer, so has the award season as each conference begins giving out their annual awards. UTSA received just their second ever Conference USA All-Freshman Team awardee in Jordyn Lacy who was awarded on Tuesday. Lacy was placed in the All-Freshman team after being 14th in the league on points with 15 points coming from five goals and five assists. Lacy’s contributions to UTSA have been vital as two of those goals have been game winners. The 2016 has been UTSA’s best season since 2011, and their best since joining Conference-USA, with Lacy’s five goals proving vital. In 2016 UTSA recorded their most goals, assists, and wins in five years, holding their best ever Conference-USA record. Lacy came to UTSA as the number one high school player in her native New Mexico after excelling in Albuquerque. Lacy continued that form in UTSA as she was one of the stars, excelling in attack for the Roadrunners. In conference play Lacy managed two goals with three assists, her assists count making her the equal highest on the UTSA squad. Lacy was awarded the offensive player of the week in September 26th as her collegiate career was getting off to a good start. 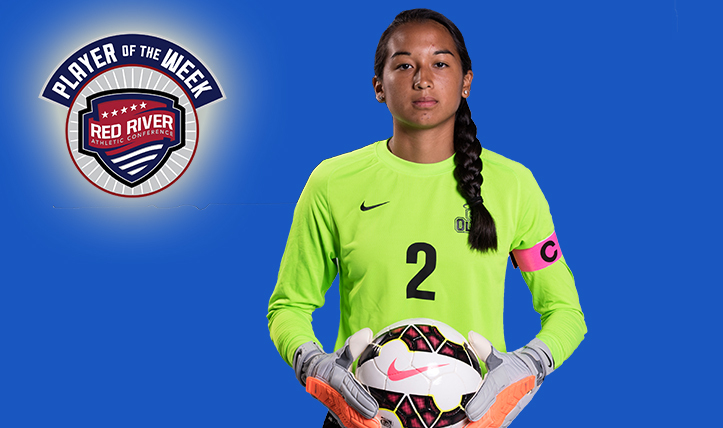 Lacy scored twice in UTSA’s win against Middle Tennessee when she won player of the week honors, to boost her case. 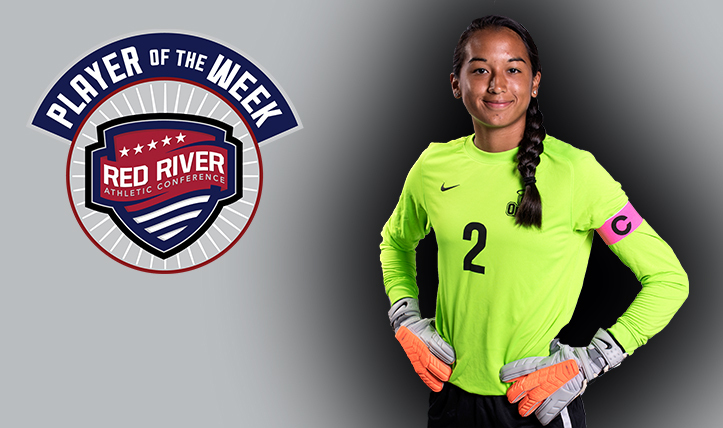 She went further, recording two assists against Rice and was able to make another assist against UAB to cap the week. 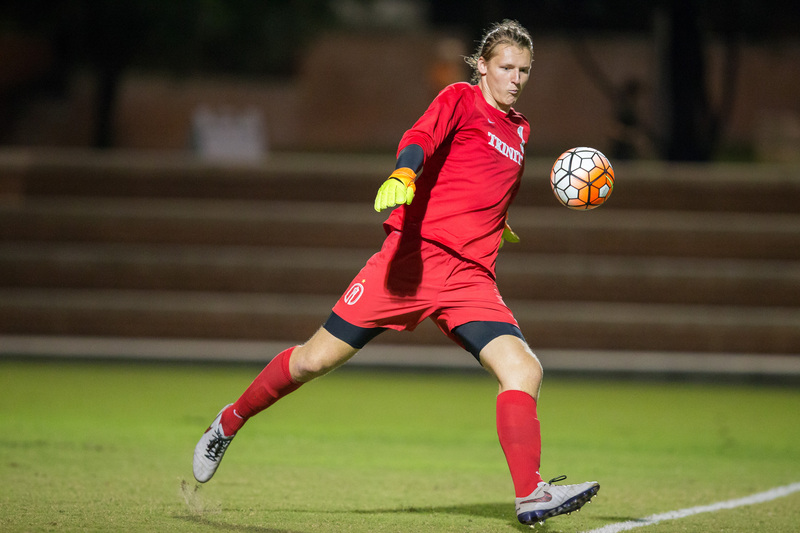 Lacy is the first Roadrunner to win the award since 2013 when goalkeeper Emma Makela was on the team.